-Messenger photo by Peter Kaspari Algona Police Officer and K-9 Handler Grant Smith demonstrates how one of the department's dogs, Jet, looks for bombs in a vehicle. The department is raising money to purchase another dog in anticipation of Jet's upcoming retirement. ALGONA — A four-legged member of the Algona Police Department has a unique distinction that makes her in-demand when it comes to certain law enforcement matters. -Messenger photo by Peter Kaspari Algona Police Officer and K-9 Handler Grant Smith demonstrates how one of the department’s dogs, Jet, looks for bombs in a vehicle. The department is raising money to purchase another dog in anticipation of Jet’s upcoming retirement. -Messenger photo by Peter Kaspari Algona Police Officer and K-9 Handler Grant Smith directs Jet to look under a police car as he demonstrates how she checks for bombs. 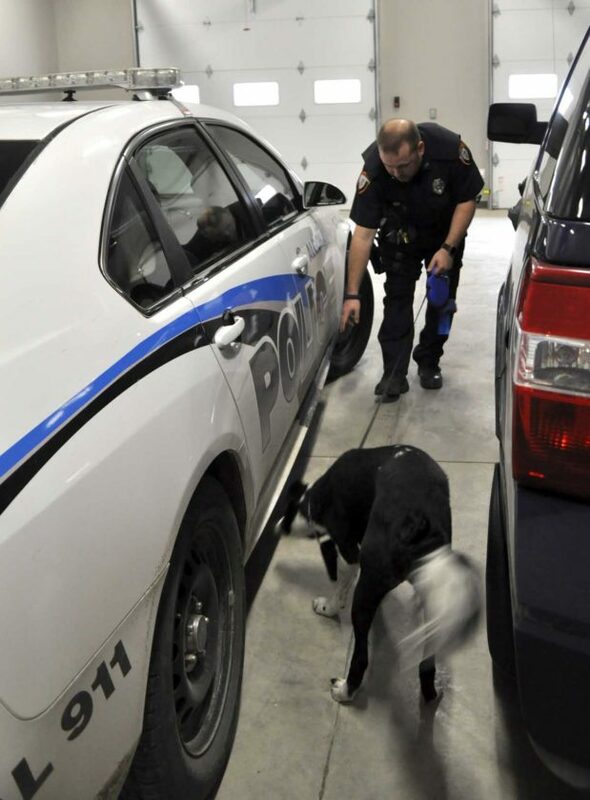 Jet, a border collie who is one of two canine officers with the department, is the only bomb-detection dog serving on a police department in north central Iowa. Because of that, Jet’s handler, Algona Police Officer Grant Smith, said they have a large area they can potentially be deployed to. 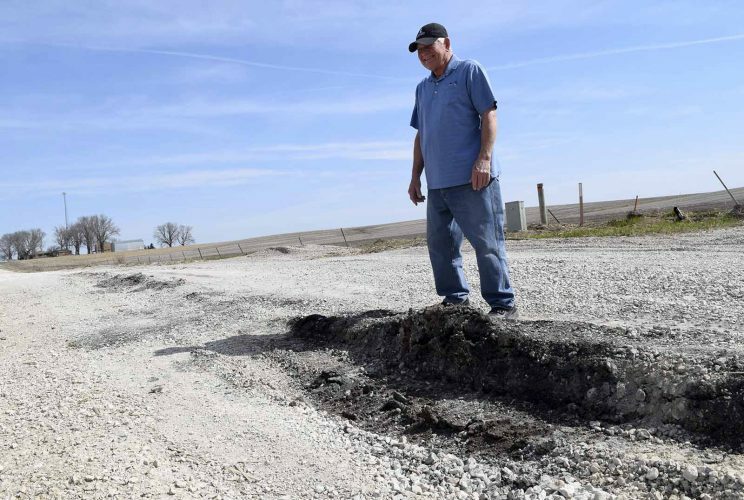 “We cover pretty much north central and northwest Iowa,” he said, adding, if necessary, they can also provide assistance to departments in southern Minnesota. “The closest bomb dogs are in Worth County, Rochester (Minnesota), the Twin Cities and Des Moines,” Smith said. He and Jet are usually called to respond approximately every other month. 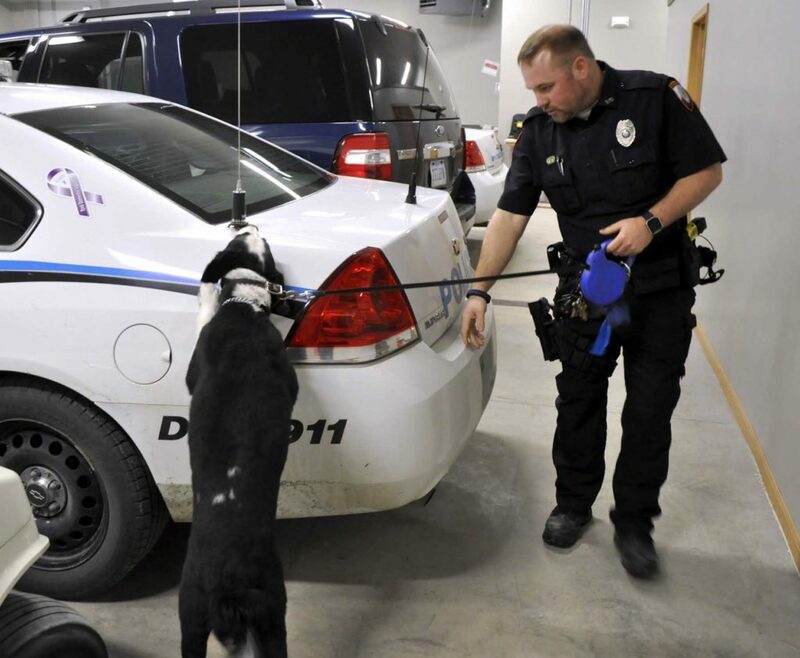 While Jet, who was adopted from the Animal Rescue League in Des Moines, is an invaluable asset to the Algona Police Department and surrounding communities, she is also nearing retirement age. Although Jet’s anticipated retirement date won’t be for another year and a half, the department is making preparations to make sure her successor is in place by the time she does retire. Three weeks ago, the department started a fundraising effort to raise money for the purchase of a new canine. When Jet does retire, Smith said the department wants to get a dog that is both a bomb-detection dog and has other skills as well. The department’s other dog, Puma, a Dutch shepherd, is a dual-purpose narcotics and patrol dog. Puma’s handler is Officer Ben Gatton. According to Smith, the department is looking to raise between $14,000 and $15,000. That would include the cost of a new canine, training and equipment the department would need. But according to Pals, not only is the department raising money for Jet’s replacement, but any potential future canines as well. 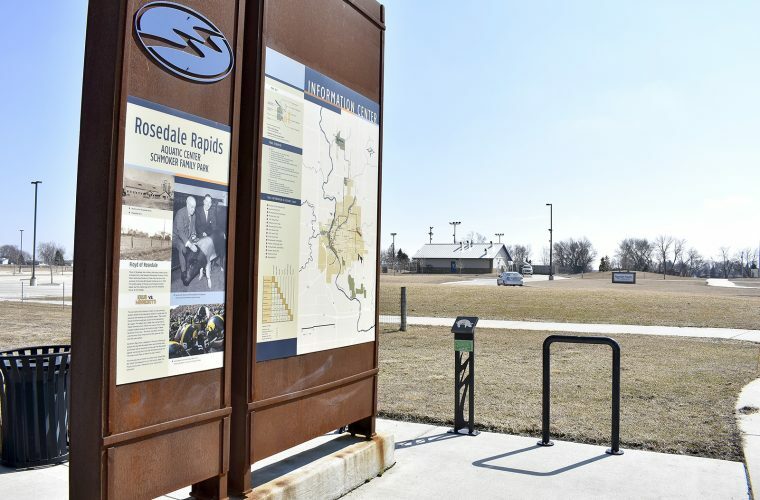 He added that having a canine unit has provided many benefits to not only Algona, but the surrounding areas as well. Among the tasks the department’s canines have helped with include drug searches, school searches, searching for missing persons or people who have diseases like Alzheimer’s and scanning areas for bombs to make sure dignitaries such as presidents are safe. Pals added that canines help in other ways. Anyone interested in donating to the Algona Police Department can either contact Smith or Pals, or they can send a check to the department at 121 W. State St. in Algona. Smith said those who want to mail a check should write in the memo box that it’s for the canine unit. Pals added that the department will send a receipt to anyone who makes a monetary donation.